I had such a good night, I really felt the need to spread the word and share my experience of my first ever supper club. 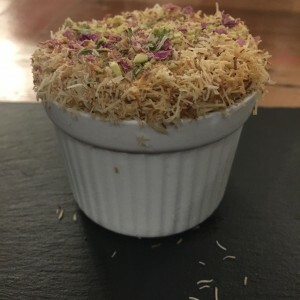 I was very kindly invited by the lovely Phillip Juma of Juma’s Kitchen to come and try Iraqi cuisine at his supper club hosted at the Jam Tree in Clapham Common. 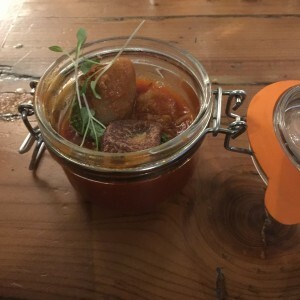 I haven’t done the communal dining with lots of strangers since I went travelling about 16 years ago so I was looking forward to both new company, and a new food experience. The evening kicked off with a lovely welcome cocktail of Gin, Fig syrup and Elderflower which I was instantly poised to dislike seeing as I can’t stand gin! 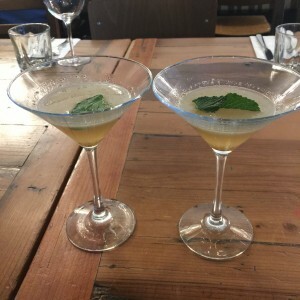 On the contrary, it was delicious, sweet, sharp and refreshing without a hint of the gin taste – a very good way to whet the appetite. It was a very eclectic bunch. To my right were a couple in finance who dabbled in food reviews on the side, opposite was a charming Palestinian chef who along with her partner, were lively and outgoing with the same passion for good food as me, and to my left, was a city trader with his partner who runs a business promoting pop-ups and supper clubs. Everyone was charming, always a bonus when you’re stuck with them for the best part of 4 hours! 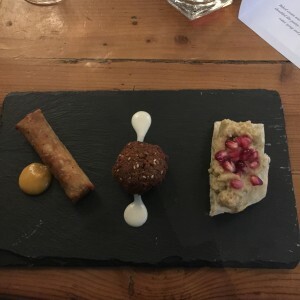 The courses started arriving and having saved my appetite all day (I have dined out a lot recently which is not a good thing with bikini season looming,) I eagerly tucked into the first course; Borek, Falafel and Baba Ganoush. Its not easy making Middle Eastern food look refined but this was great presentation and great cooking. The meat inside the borek was beautifully spiced, and the falafel lovely and crispy with the aubergine smokey but not too overpowering. 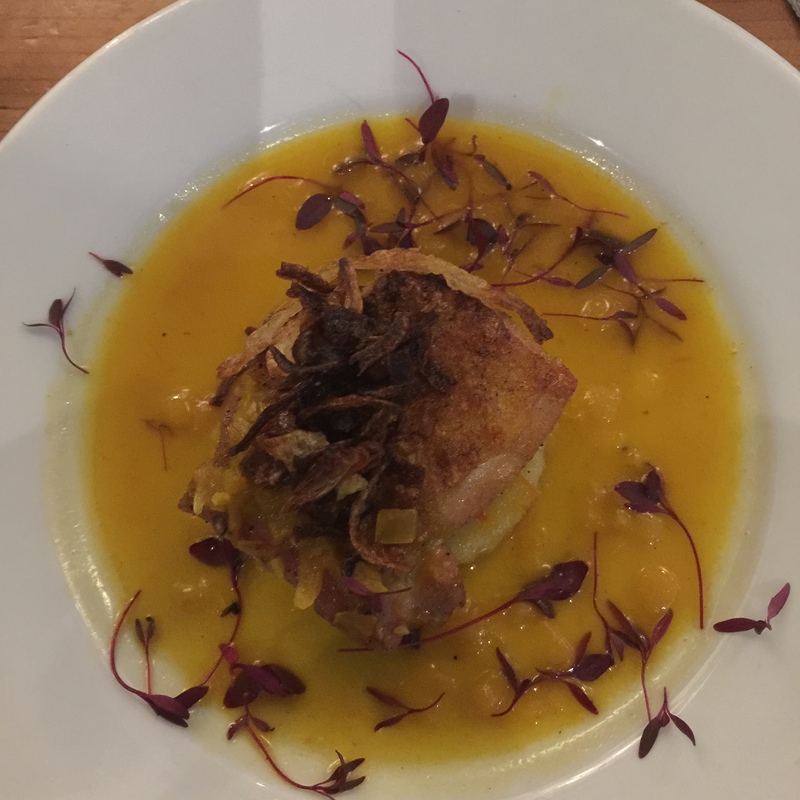 Next course was another little teaser; Dilaj Bilmynarinj better known to us Westerners as boneless chicken thigh served on wafer layered potatoes with a saffron sauce. The heady scent of saffron was intoxicating and the chicken beautifully cooked with crispy skin and crispy onions. I was still hungry though…. Again loving the presentation; its very similar to something I did on MasterChef with the rich yellow sauce and vividness of the red amarynth. Tasted every bit as good as it looked. Next up was the Kubba Hamuth. Kubba is one of my favourite things to eat and make. There are so many variations of this across the Middle East. Its a meat filled dumpling that can be made with bulgar, semolina, a combination of both or ground rice which was a new way on me; that’s how Phillip managed to get these so soft. They were an absolute delight and its a recipe I am sure to be hassling him for. The presentation, as novel as it was, made it hard to get to that delicious sauce but that’s just about the only negative thing I could possibly say. Still…..my tummy called for more food…. 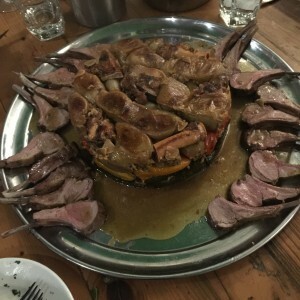 Once the main came, I was very grateful that the previous courses had been just enough to satiate without going overboard. Warning: the following image does not represent the magic of this dish. It was in a word…..sublime. 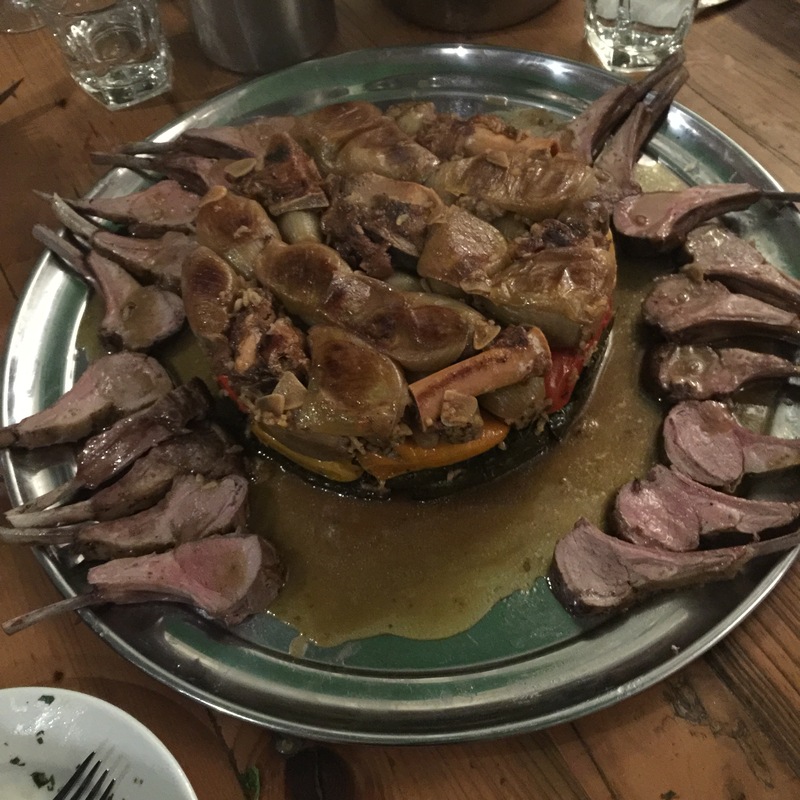 This was called Dolma: delicious fragrant lamb stuffed vine leaves, peppers and onions with french trimmed lamb cutlets, lamb bones and a fattoush salad. The lamb and rice combination was expertly spiced with a real homely taste; cardamom and cinnamon being the two dominant flavours. 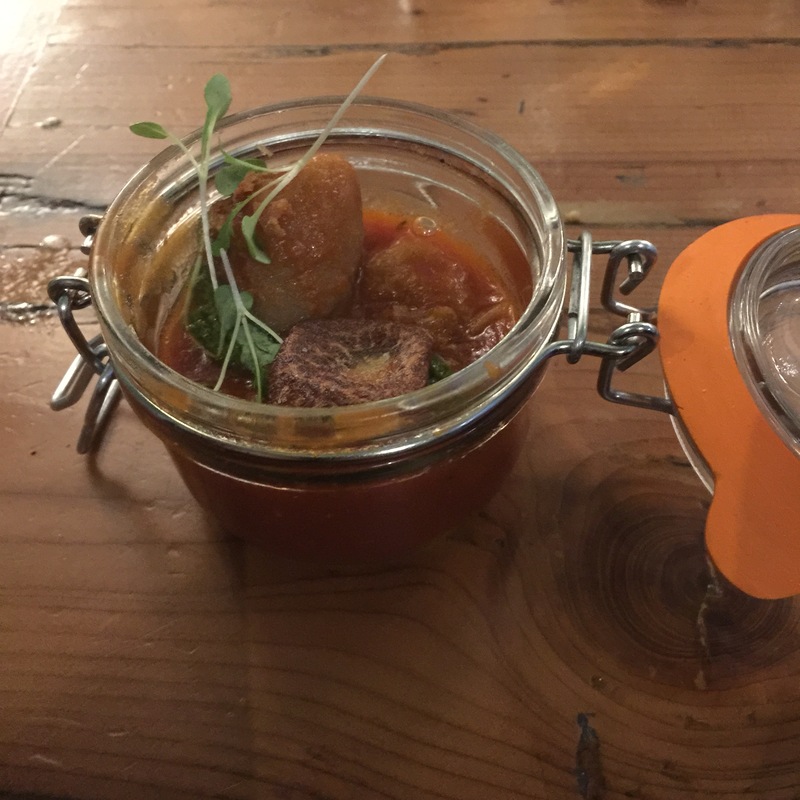 It was soul food on the most satisfying level and after this course…I was certainly not hungry anymore. Fit to burst, I was glad of the break between main and desert which was Knafa; a baked soft cheese with a stringy texture. 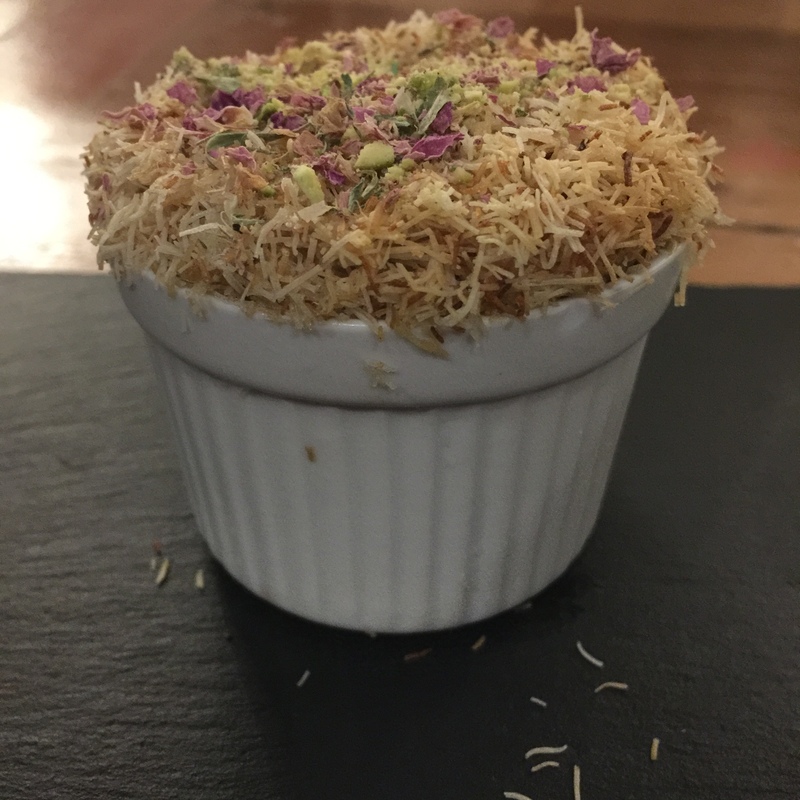 The topping was Kataifi pastry, or very finely shredded filo which was topped with crushed pistachios and rose petals. It looked beautiful and smelt so fragrant with rose water but I was so full (probably had one too many stuffed onion) that I just couldn’t muster the appetite to eat it. Aside from some wonderful food and company; a special mention goes to slick organisation and the team supporting the supper club. The staff were great, the bar was well run and the venue really helped to make it the evening that it was. Phillip was absolutely charming, taking the time to talk with all his diners and thank people for coming. You could see the passion he has in both the food, and his attitude to cooking. I would encourage anyone to look out for his next dates and book up. I know my photography doesn’t sell it as well as it should be sold but hopefully you will trust my Middle Eastern palate well enough to know that if I say its good……its good! Such a shame you didn’t manage to try be knafa it is divine!